another shot of the rear bag attachment. Nelson Rigg could improve the bag with this rear strap attachment method. 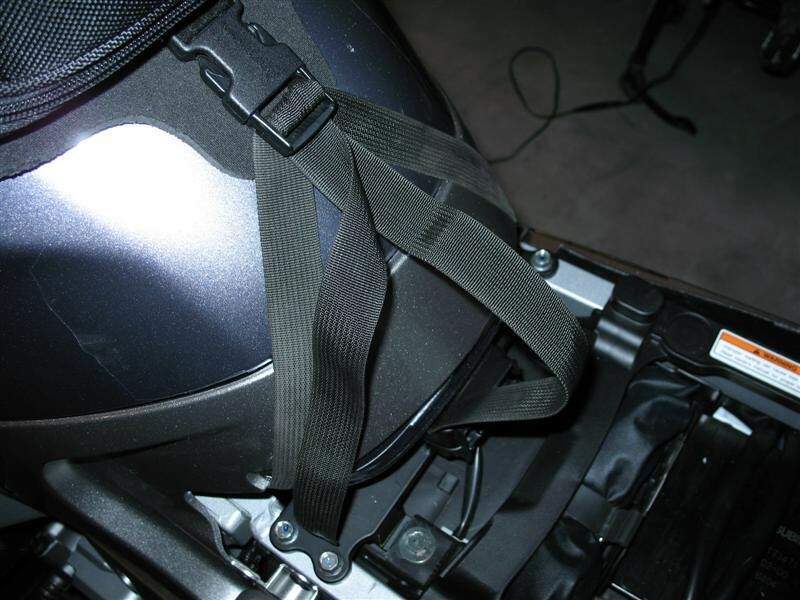 The stock strap has a loop sewn into one end to "larkshead" onto some point below the seat, passing a single strap up to the buckle. I considered a magnetic version of this bag, but I have had problems in the past with credit cards getting wiped out of order by coming too close to the powerful magnets. Now with lots of other magnetic media going into the bag for the Mp3, cell and camera, I am not taking any chances.